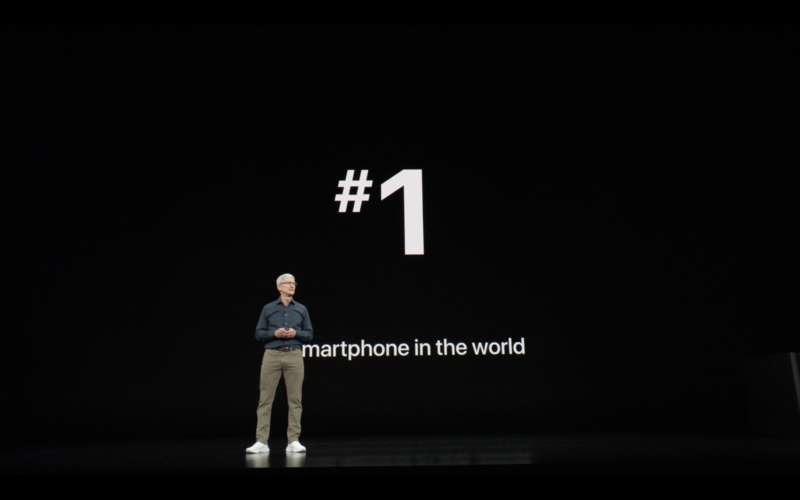 Apple held its annual iPhone launch event last Wednesday (September 12, 2018, PDT). It began with a Mission Impossible themed video showcasing Apple’s products and the all new Apple Park. As always, Tim Cook took the stage and welcomed everyone. Following are the highlights and main takeaways from the event. 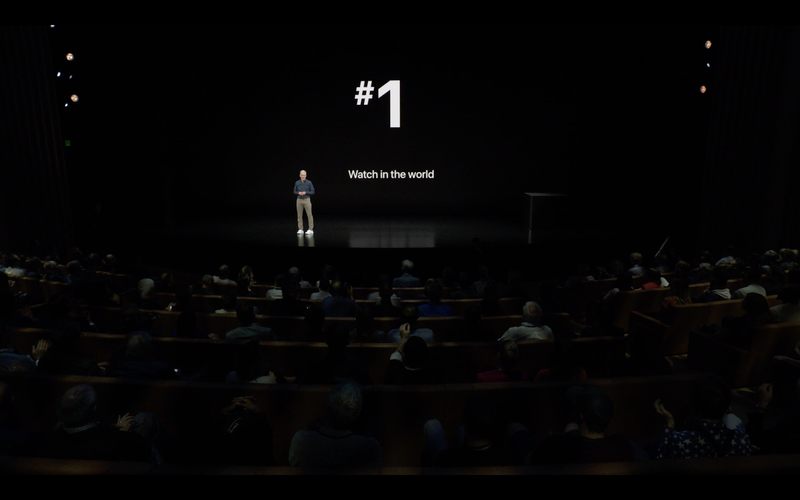 According to Tim, Apple Watch has become the “World’s number one watch. period”. 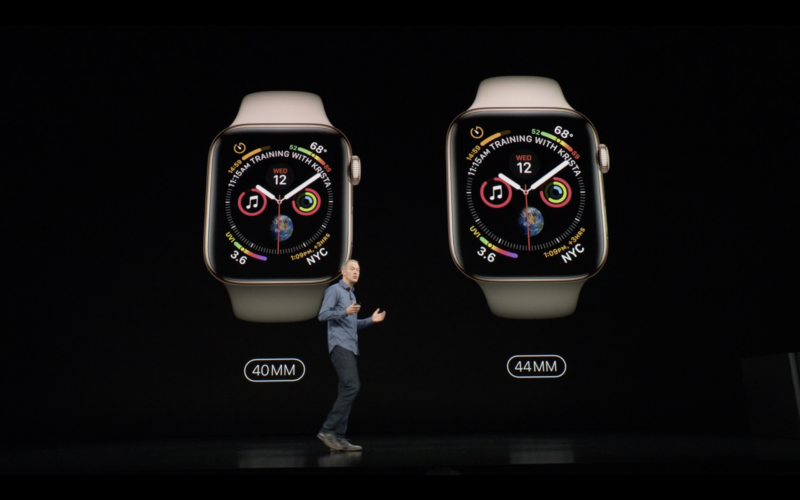 The new watch is thinner than previous models and sports a 30% larger display (allowing for up to 8 simultaneous compilations) with thinner bezels (40mm and 44mm faces), vs. the Series 3 (38mm and 42mm faces). Series 4 rocks an all new 64-bit dual core S4 processor, which is twice as fast as the current S3 model. The sensors (accelerometer gyroscope) for monitoring user activity have been updated and now sample data up to 8 times faster, thus enabling the watch to detect if a user has fallen. 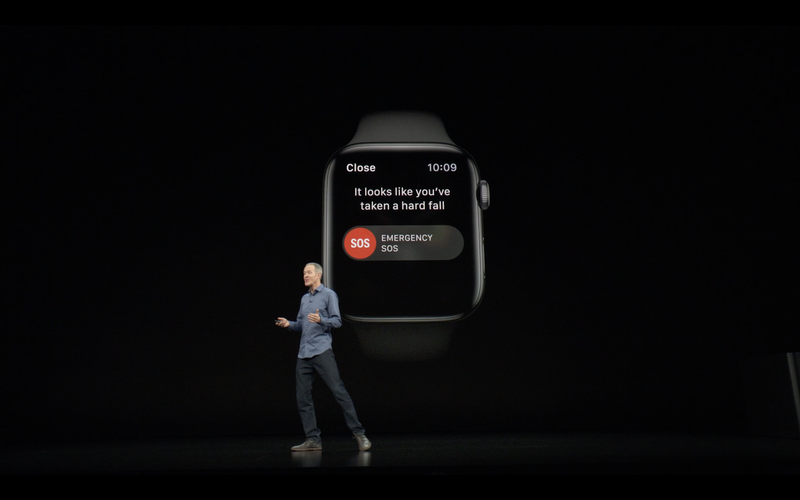 This capability activates an emergency call prompt, followed by an automated SOS call and message if the user stays immobile for a minute after the fall was detected. 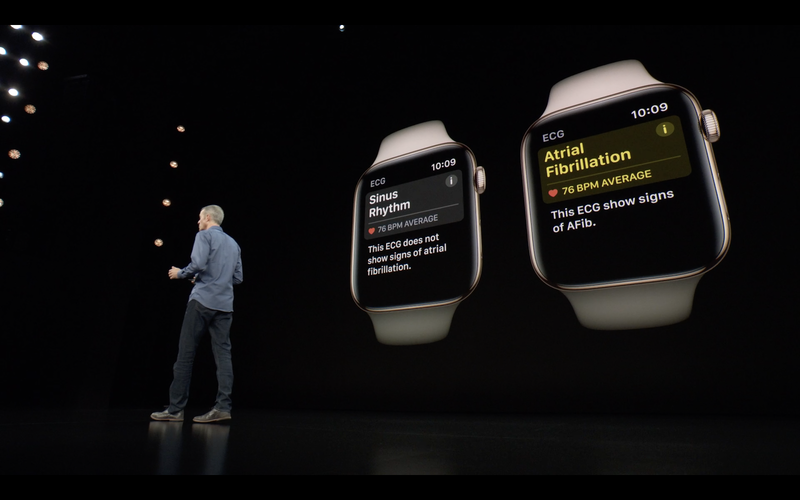 AFib (Atrial Fibrillation): The watch can now detect abnormal heart rate. 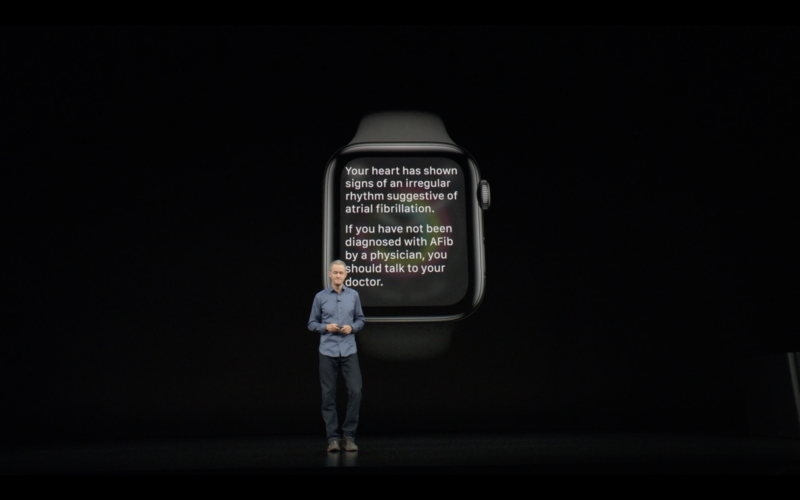 The most revolutionary function the watch can perform is an ECG (available later this year). 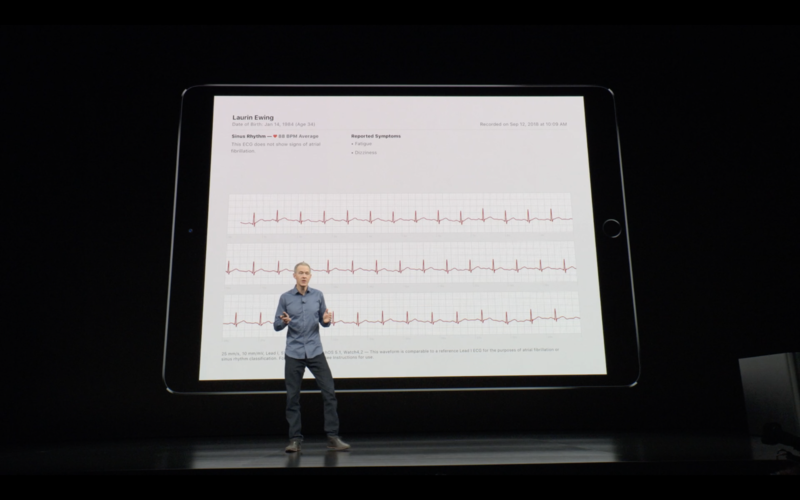 A user can now take an ECG in 30 seconds. 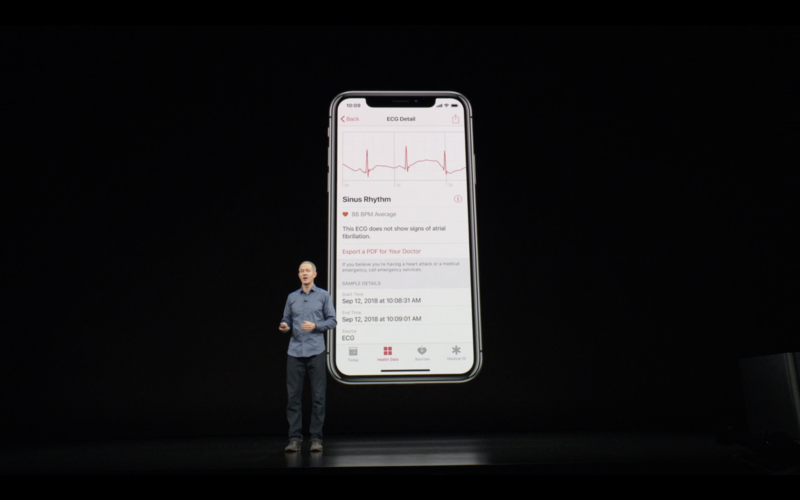 This makes Apple watch Series 4 the first ever, FDA approved, over-the-counter consumer device able to perform ECG. 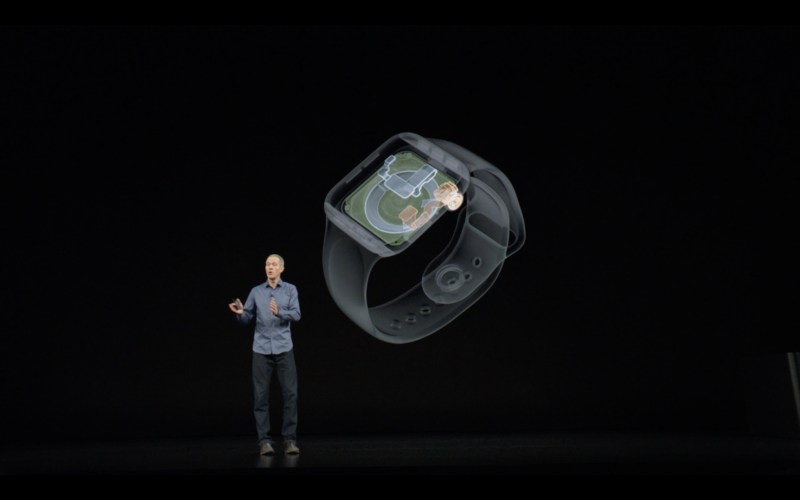 Apple claims that despite all the updates and additions of new sensors, the watch will provide the same battery life as the Series 3 (18 Hours all day battery life). New faces will be available, including: fire, water, vapor, dynamic faces like favorite contacts, time zones and three versions of breathing app faces. The new S4 is available in Silver, Gold and Space Gray. While the GPS version starts at $399, the cellular e-sim version starts at $499. Pre-orders started on September 14th and will be available September 21st. 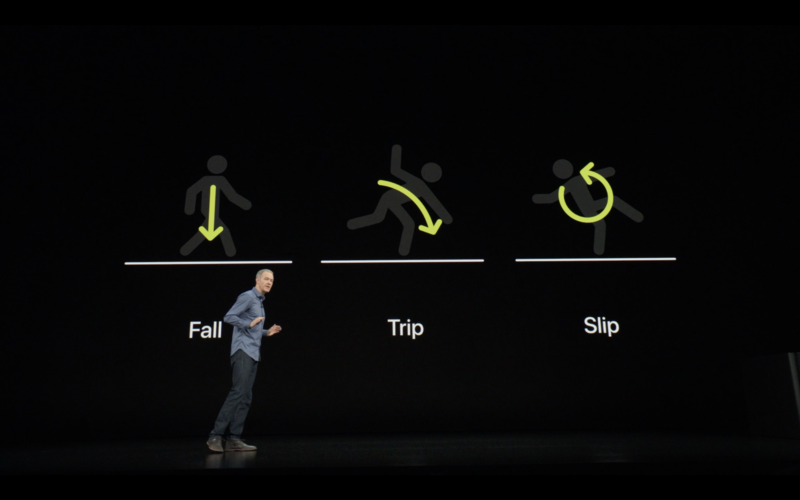 Some of the major updates include: walkie-Talkie, auto-workout detection, activity competitions and podcasts. 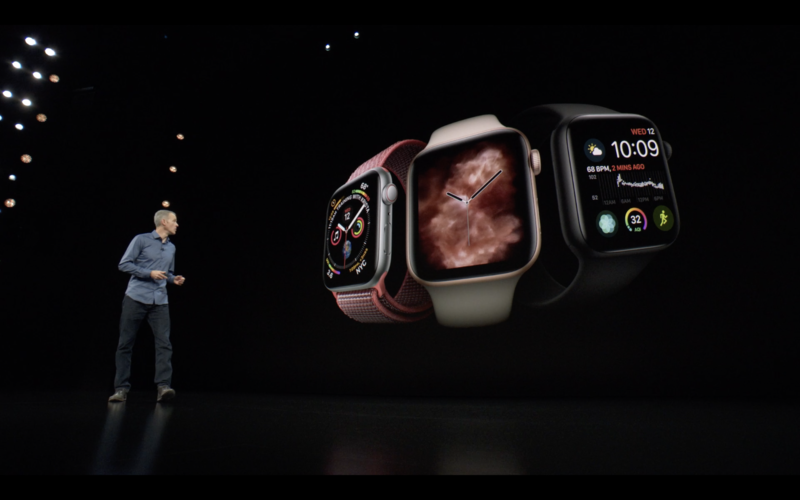 All Apple watches series, except the Series 0, are eligible to receive watchOS 5 update. 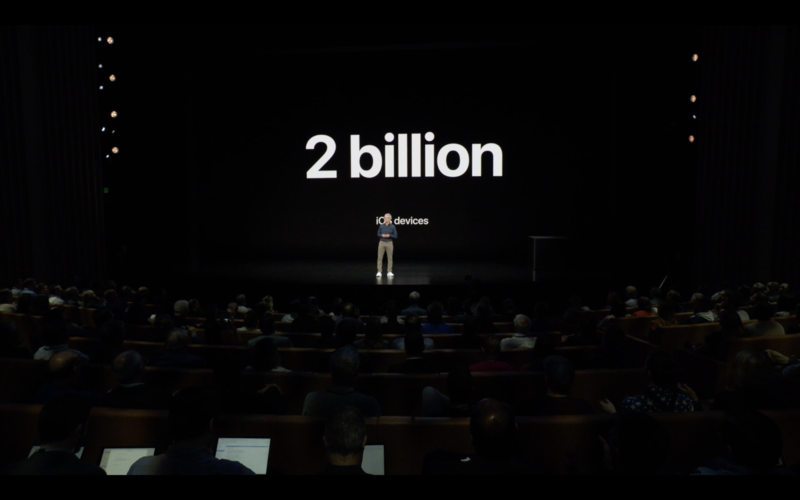 Tim said that Apple is about to ship its two-billionth iOS device. 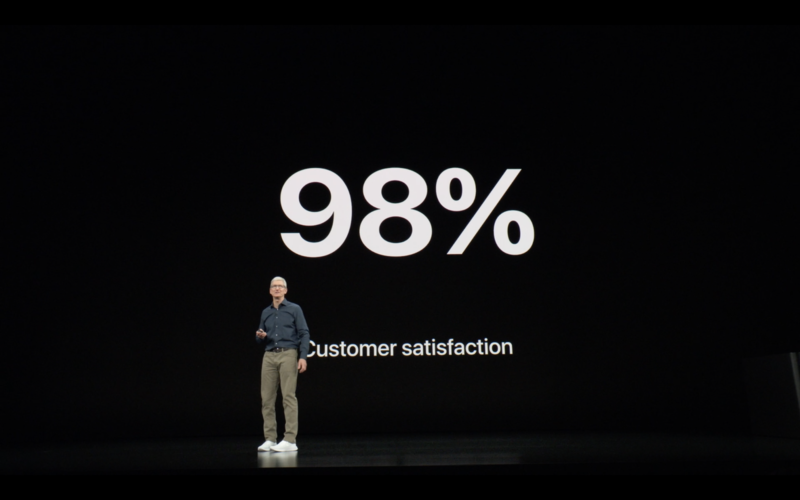 He also mentioned that iPhone X is the number one smartphone in the world with 98% customer satisfaction. All the new iPhones support Apple’s A12 Bionic (first ever 7nm chip) with a dedicated 8 core neural engine. It is capable of performing 5 Trillion operations, compared to A11’s 600 Billion. iPhone XS and XS Max are available in 64, 256 and 512 GBs variants, while iPhone XR is available in 64, 128 and 256 GBs variants. All three of them include a True Depth Camera system with a 7MP photo camera. 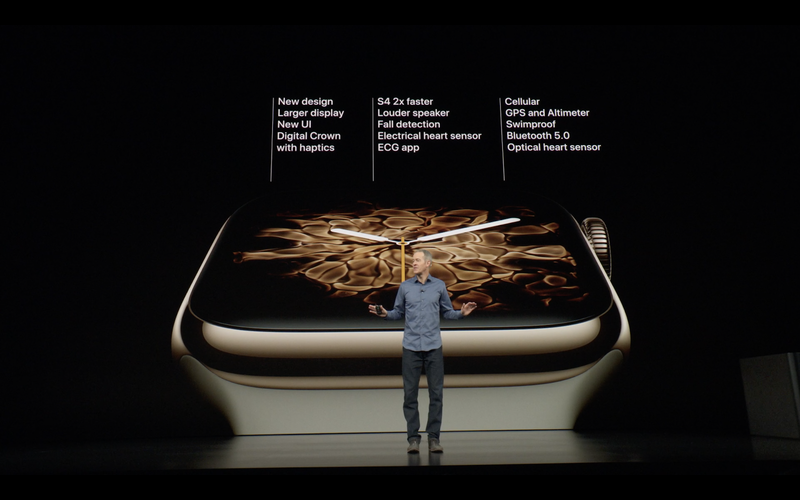 Face ID is faster too due to better algorithms as well as an updated secure enclave. iPhone XS and XS Max support Dual 12MP wide-angle and telephoto camera unit, while iPhone XR supports a single 12MP unit. All three support Smart HDR as well as updated Quad-LED True Tone Flash. The picture quality has supposedly improved a lot, thanks to computational photography (“A new era of photography” as Apple called it), i.e. the new ISP (Image Signal Processing) and the new processor. iPhone XS and XS Max support Dual SIM Dual Standby (A physical nano SIM and an e-SIM; while it’s two physical nano sims in China). iPhone XR supports a single nano sim. All three iPhones support Gigabit class LTE networking. iPhone XS has a 30 minute longer battery life than the iPhone X, while iPhone XS Max lasts 90 minutes longer. On the other hand, iPhone XR lasts 90 minutes longer than the iPhone 8 Plus. The iPhone XS and XS Max feature Portrait mode with Depth Control, so the user can change the depth of field of a picture after it has been taken. They record audio in stereo due to an updated, four microphone setup. Phone XR doesn’t have 3D touch but does have the new Haptic Touch. XS and XS Max are available in Silver, Space Gray and Gold (New Color). While XR is available in Blue, White, Black, Yellow, Coral as well as Product Red colors.XS starts at $999, XS Max at $1099 while XR is the cheapest all screen iPhone ever at $749. The iOS 12, promising to bring major performance as well as stability updates to the iPhones. 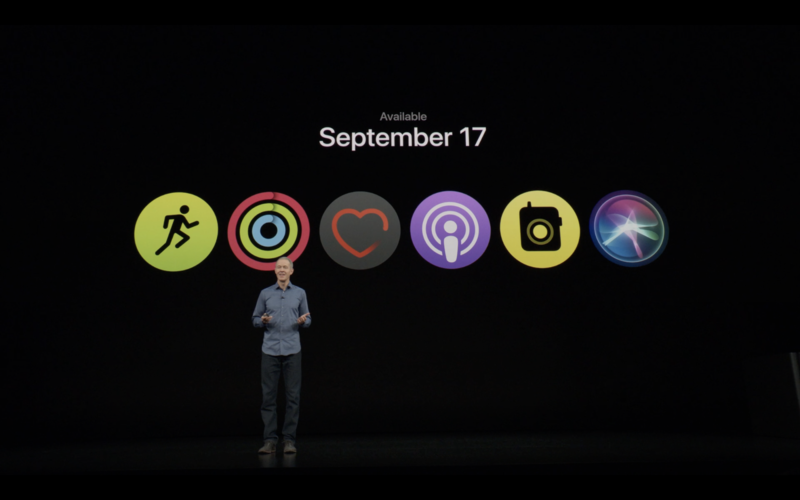 iOS 12 features Faster App Launches, Emoji, Screen Time, Grouped Notifications, Siri Shortcuts, shared AR experience, Password sharing and much more. iPhone 5s and onwards are eligible to receive iOS 12 update.